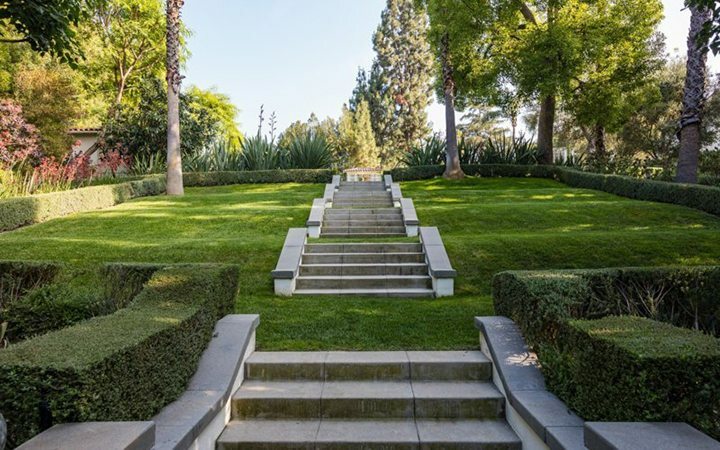 If you’ve ever wondered what old Hollywood glamour feels like take a walk through Cecil B. DeMille’s estate located in Los Feliz’s gated Laughlin Park. DeMille was a famed Hollywood director who is remembered most for his epic and extravagant films; The King of Kings, Samson and Deliah, and The Ten Commandments. DeMille lived in his estate for over four decades. 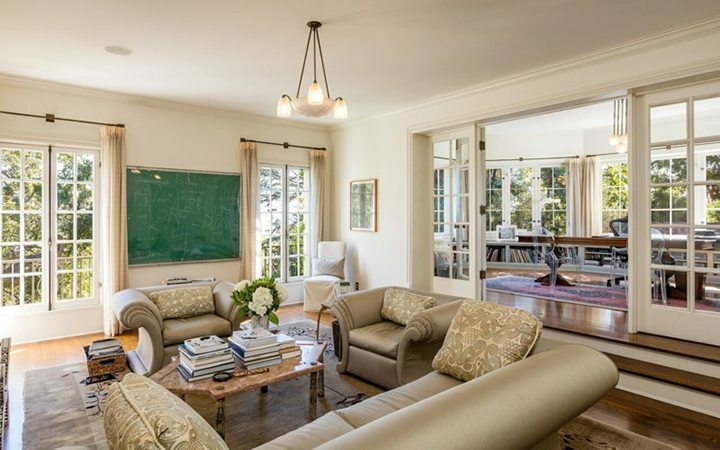 It’s sited on 2.1 acres and consists of a Beaux Arts style mansion, a pool house, and a studio. 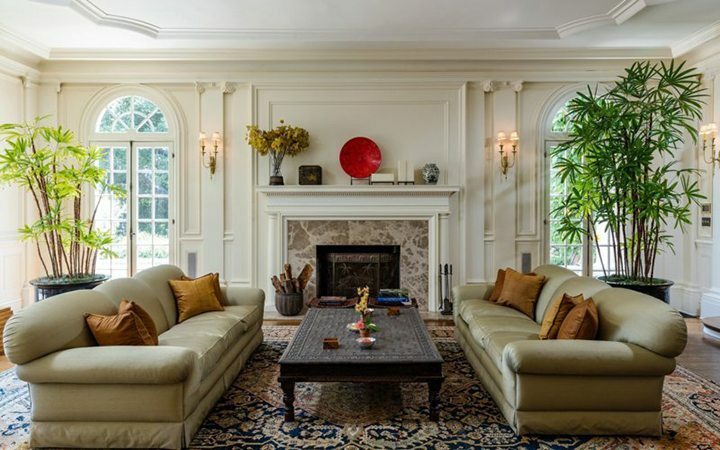 The current owners, an architecture loving couple with a keen interest in restoration projects, enlisted the help of architecture firm Tichenor & Thorp to restore and add to the DeMille estate. They spent six years bringing this six-bedroom, ten-bath house back to its former glory. Ceilings were raised where possible and servant’s quarters were replaced with a bigger kitchen and library. Original details like Doric columns in the living room were retained along with molded ceilings and an old school prohibition era style wine cellar. The once upon a time breezeway extending from an atrium that connected the estate to Charlie Chaplin’s former residence was removed but the atrium remains. 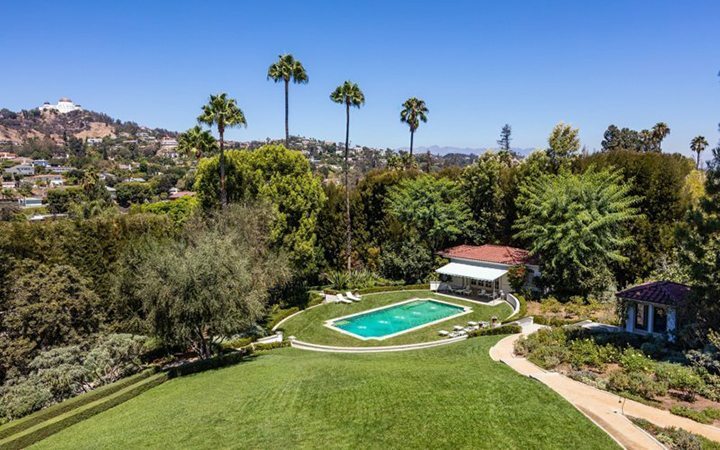 And the sprawling, idyllic, grounds are straight out of your most beautiful dreams – pool with arched fountains, incredible gardens, paths and sitting areas, and a dead on view of the Griffith Observatory included. 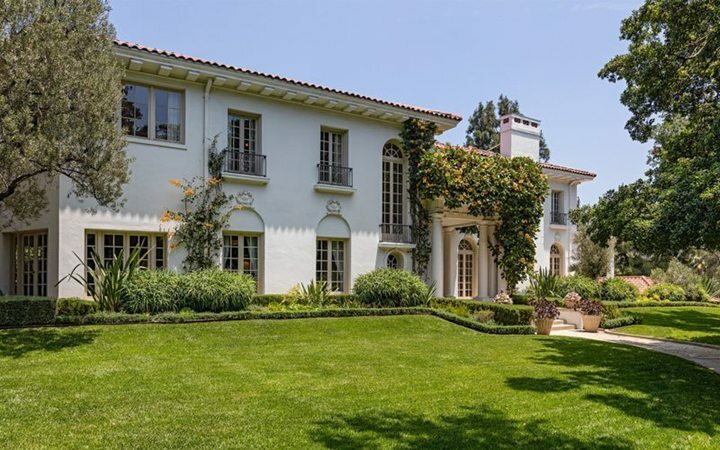 The one and only historic Cecil B. DeMille estate is exactly what you expect old Hollywood architecture to feel like – grand.